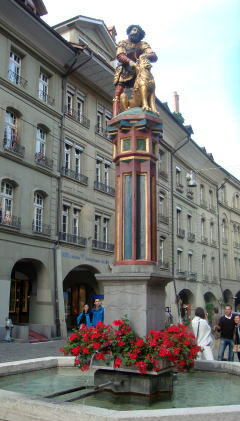 Bern The city of Bern is the capital of Switzerland, and, with a population of 126,000 ( in December 2011 ). 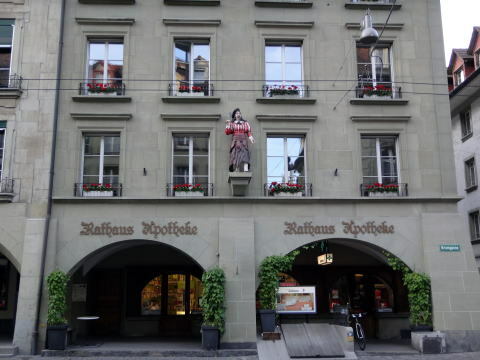 the Swiss German dialect. 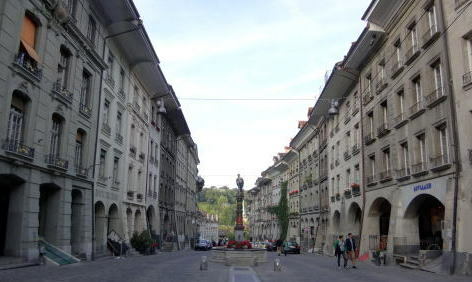 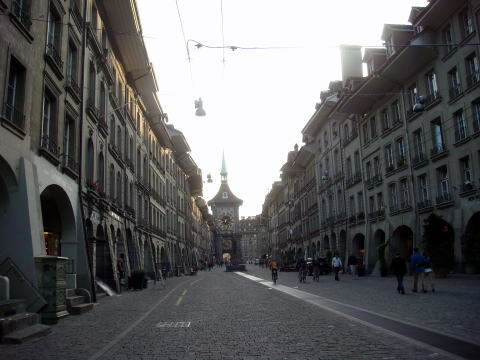 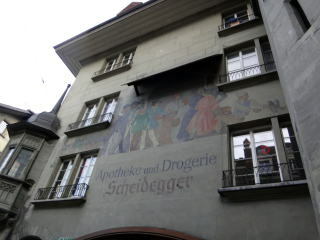 In 1983, the historic old town in the centre of Bern became a UNESCO World Heritage Site. 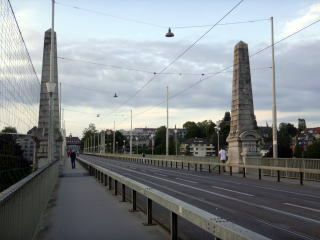 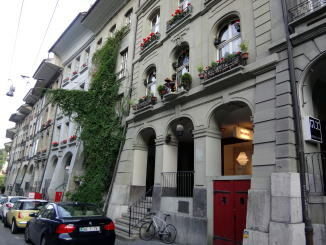 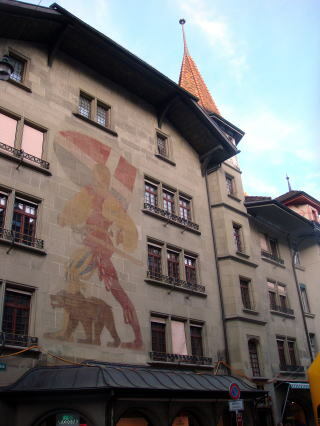 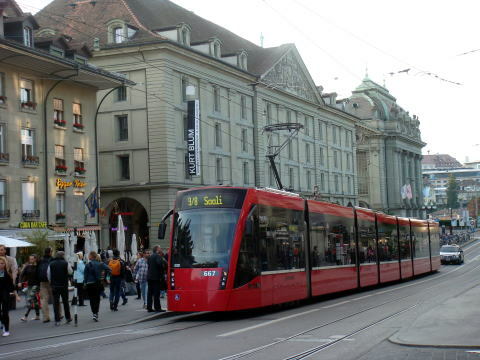 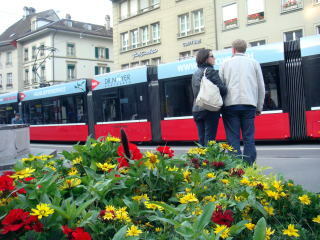 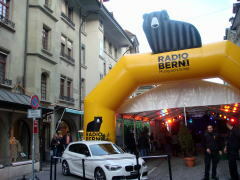 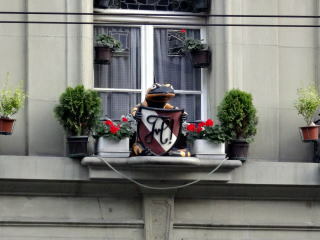 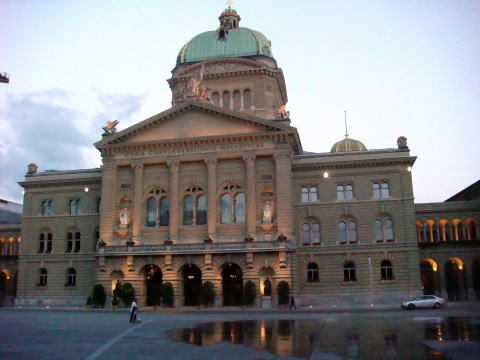 Bern is ranked among the top ten cities in the world for the best quality of life in 2010. 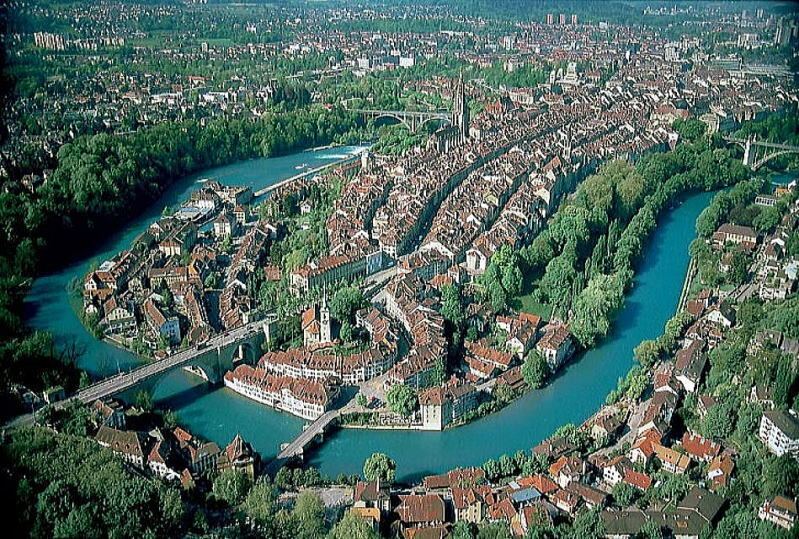 Aerial photography of Bern: The Aar flows around the Old City of Bern with a loop shape. 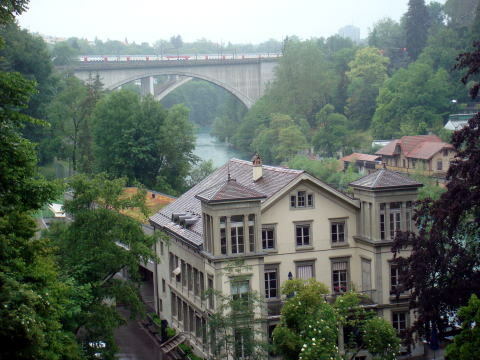 River Aare: Swiss railway train is crossing a railway bridge over the river. 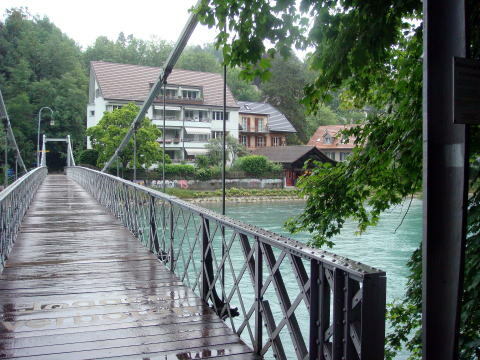 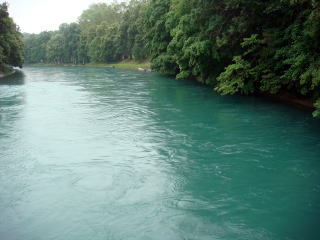 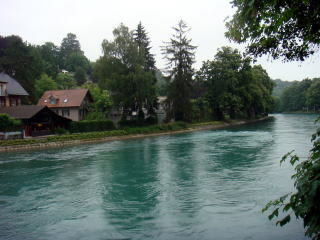 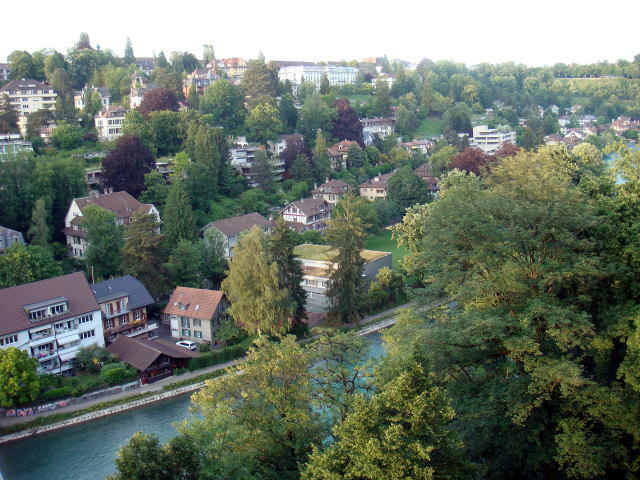 You may see a peaceful residential district with a lot of trees, from River Aare side in the Old City. 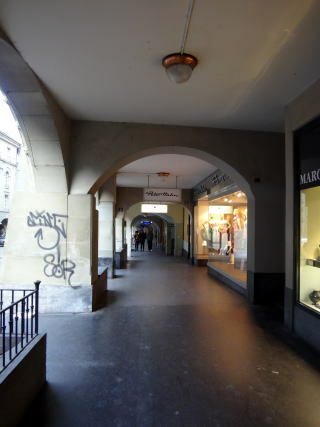 (R) Arcade in the Old City of Bern: This is the longest weather-protected stretch of a shopping promenade in Europe. 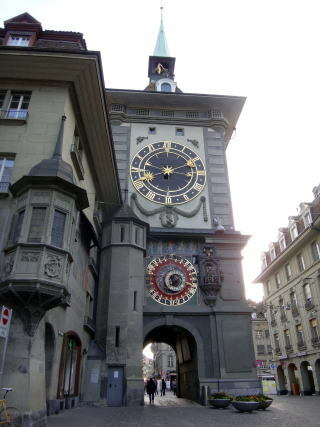 (L) Zytglogge Clock Tower (R) The eastern half of the Kramgasse, looking toward the Zytglogge and the Simsonbrunnen. 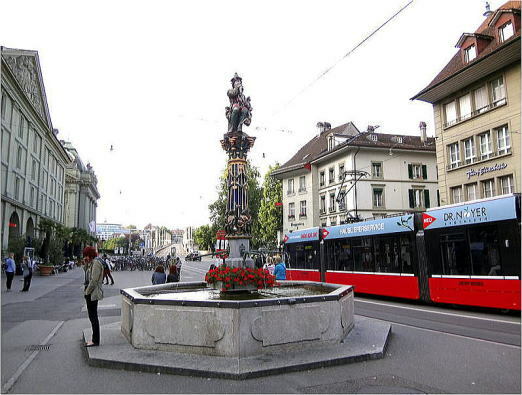 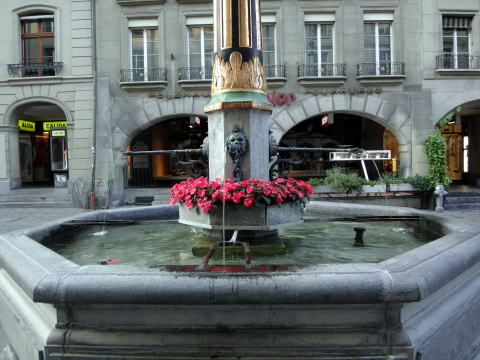 (L) A tramcar runs on Kramgasse street of Bern (R) Bern is known its 16th century fountains. 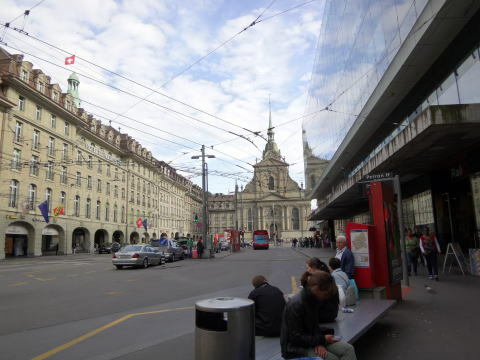 At Macdonald shop at Bern railway station, small-size cheese bagel costs 11.5 franc. 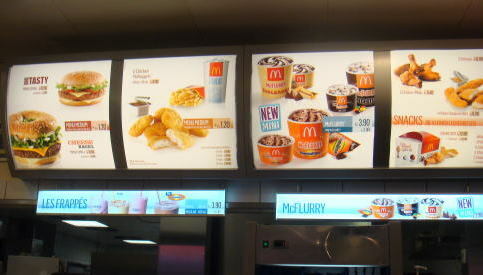 This is equal to 1,223 yen or 12.28 USD. 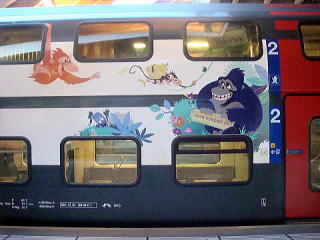 (L) Swiss railway train decorated with animal cartoon, seen on the platform of Bern station. 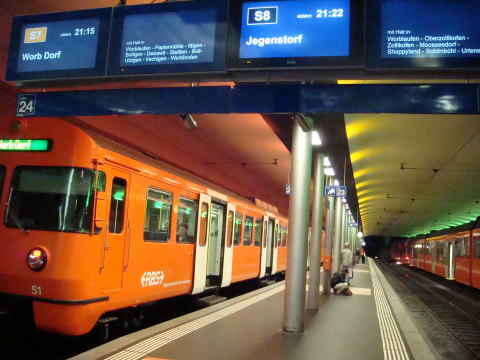 (R) This train in the underground station of Bern serves the region between Bern and Worb Dorf.